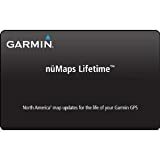 Updates the street maps on your compatible Garmin GPS for the lifetime of the device. Get updated information on street and highway changes, new roads, new points of interest and other features. Coverage includes detailed maps for the United States and Canada, including Alaska, Hawaii and Puerto Rico. Mexico coverage is not included. This is a suction cup mount for your car. It is compatible with Nuvi 200 Series. It is easily removable so you can take it from car to car.